Smaller than king salmon, with a saltier flavor and flesh as bright as raspberry jam, red salmon are what high summer in Alaska tastes like. But this summer has everyone asking where are them. ANCHORAGE — After just a few hours of letting the current comb through his net in the Copper River, Dr. Shane Cummings knew something wasn’t right. 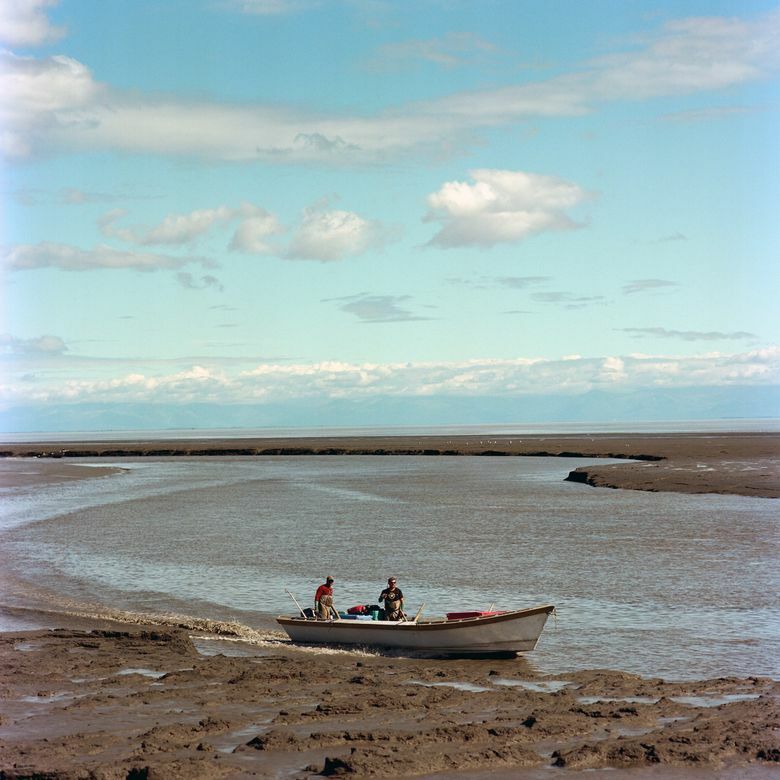 Cummings, a sports-medicine specialist, had driven 250 miles east of Anchorage with a seasoned fishing party, including a few men who had gone to the river every summer since the 1960s. They motored between sandbars to a familiar spot, and slid the wide hoops of their nets into the steel-colored water. In a good year, they could pull 70 or 80 red salmon from the river that they would later brine in sugar and salt and bathe in alder smoke, their Little Chief smokers puffing in their driveways. They would carry Ziplocs of fish to the neighbors and set long tables in their backyards, pulling fillet after fillet off the grill. But as the hours passed on this day in early June, nobody on the river netted a red, or even saw one. “It wasn’t usual at all,” Cummings said. Like many people around the world in an era of climate change and pollution, Alaskans have seen startling disruptions in the fisheries that sustain them — in this case, the salmon that return to rivers in warmer months to spawn after feeding in the open sea. In the last decade or so, king salmon — large, muscular fish prized for their mild flavor and oil-rich flesh — have been smaller, and their numbers have fallen well below expectations. People in Alaska have more or less adapted to their disappearance somewhat, by catching other fish. But the loss of red salmon is something different. Smaller than king salmon, with a saltier flavor and flesh as bright as raspberry jam, red salmon are what high summer in Alaska tastes like. The fish normally drive the rhythm of the short, intense season, buoying the state’s economy and filling home freezers in cities and rural villages. They are plentiful, inexpensive and easy for amateurs to catch in quantity. 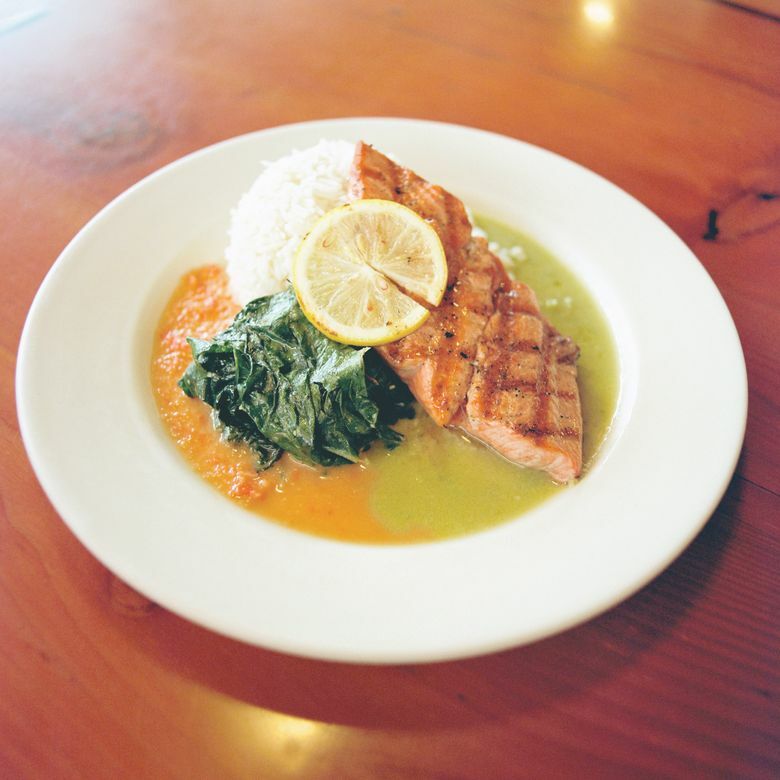 When the first fish from the Copper River appear on a restaurant menu, summer has begun. This summer, though, has turned into one of the worst for red-salmon fishing that anyone here can remember. By late July, the usual end of the red-salmon season, the number that had returned from the sea was half of last year’s total in all but one of the state’s red-salmon fishing regions, said Garrett Evridge, an economist who follows fishing trends with McDowell Group, an Anchorage research and consulting firm. The Copper River, a celebrated, glacier-fed fishing ground, had its smallest red-salmon run in 38 years, as did other rivers across Alaska, state officials said. State wildlife managers closed river after river to fishing in July so enough salmon could reach their spawning grounds. From commercial boats to restaurant kitchens to backyard barbecues, people are uneasy. “It’s like you prepared your house for company and they never showed up,” said Steph Johnson, who manages Bear Tooth Theatrepub, a busy restaurant in Anchorage. Scientists, who haven’t had time to study the problem, are cautious about naming causes. But many suspect it has to do with a recent period of higher ocean temperatures. Fishing has its natural ups and downs, and this year is not as dire as it feels to some, Evridge said. Overall, Alaska’s commercial red-salmon catch was just above the five-year average at the end of July, thanks to record catches this summer in one area: Bristol Bay, the world’s largest wild red-salmon fishery, in southwest Alaska. That fishery is far from the state’s population base, however, and most of its catch is shipped out of state and around the world. For restaurants and cooks outside Alaska, the main impact of this year’s red-salmon disruption has been an increase in prices. 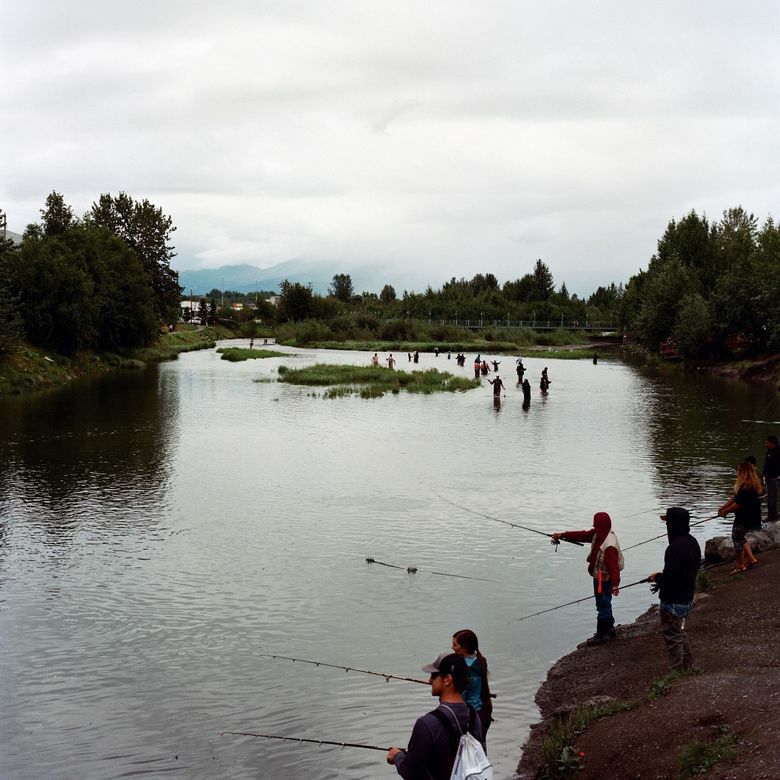 In Alaska, though, the effects have rippled into daily routines and livelihoods. In the waters off Kodiak Island in July, commercial fishermen pulled in nets full of jellyfish and little else. College students used to making summer money as deckhands had to phone their parents for plane fares home. Officials in small communities that rely on tax revenue from commercial fishing are looking hard at their budgets. In the rural Aleut fishing village of Chignik, the fishing fleet, the town’s economic lifeblood, has sat idle, as have the locals who smoke and freeze fish throughout the winter instead of buying expensive groceries that have to be shipped in. The village may need food aid to weather the cold months. Home cooks who are used to catching their own fish stand in front of grocery counters, calculating the price of dinner. Many, like Christine Taylor, a mother of two who manages inventory for the Nordstrom store in Anchorage, have found that price to be too high. 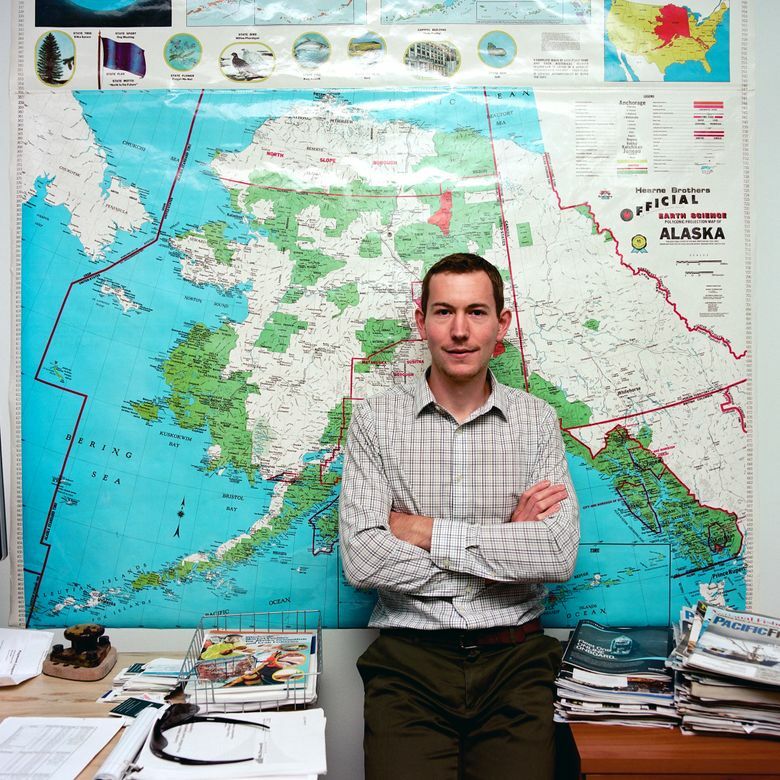 Evridge, the economist, grew up in Kodiak and usually fishes the Copper River himself. This year, he said, people don’t just miss food — they miss an experience that’s intertwined with their connection to the vast, wild place. Scientists are watching the situation carefully. Runs of all varieties of salmon throughout the Pacific Northwest have been sharply curtailed since the early part of the last century by river-related problems, like dams, deforestation, warming water and pollution. Whatever stopped Alaska’s red salmon from returning this year, however, happened in the ocean, said Bill Templin, the state’s chief scientist for commercial salmon fisheries. “Some researchers are pointing toward warmer water, but it kind of depends on which populations we’re talking about and where they are,” he said. In 2014, a mass of warm ocean water known as “the Blob,” moving north from Mexico, began to raise temperatures in the Gulf of Alaska. In the years since, blooms of algae have also spread north, emitting toxins shown to be harmful or deadly to birds and mammals. There was also a large seabird die-off across Alaska from 2015 through 2017, mysterious whale deaths and increased reports of paralytic shellfish poisoning. Red salmon are often caught at sea, but there is nothing to indicate a major change in that catch since last year, Evridge said. Higher water temperatures can cause a variety of problems aside from the growth of toxic algae, including starvation, increased susceptibility to disease and reproduction problems, said Kathi Lefebvre, a research biologist at the Northwest Fisheries Science Center in Seattle. Water off much of Alaska’s coast has cooled this year, but warmth persists in the Bering Sea, which is home to some of the world’s largest fisheries. The smolt, or young salmon, for this year’s red-salmon runs would have headed to the sea in 2014, Haught said. Higher temperatures can harm the plankton that salmon eat, Templin said, but there isn’t enough data to explain whether that has affected the red salmon. For now, restaurants that depend on the catch are making do. Many chefs kept red salmon off the menu in the early season, waiting for the price to fall, but it never did. At Bear Tooth, where chefs and managers taste their dishes every week, Johnson said they noticed that this season’s red salmon were not only smaller, but tasted slightly different. Other chefs have noticed it, too, as have some fishermen. Some say the fish tastes off; others say it has more of an umami flavor.